It's been a while since I've done this prompt. 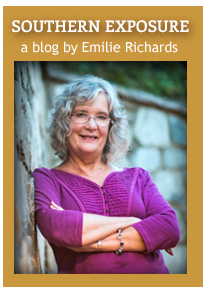 This month's words were by Cindi at Letting the Words Escape. It had been an interesting first semester of college for Josh. For his English composition class, he had to read both the works of Lord Byron and the philosophies of Apollo. He also had to read works by various British authors and stumbled upon the British use of "bloody," a context with which he was unfamiliar and for which he needed to insult a dictionary. For his history requirement, he had chosen a class on the Holocaust. It was interesting to learn about Germany during the war and the submarines and other means of transport during the war. For the since requirements, he'd chosen meteorology. It was fun learning about the weather, and one day as it was raining, the class watched the rain from the window. Another student then spotted a groundhog running across the pavement outside the building. "It was as if Groundhog Day had come at the wrong time of the year," the other student said, after the groundhog had disappeared form the class's sight. On another day, a park ranger came to the class to do a slide presentation on snow in the mountains. When the semester was over, Josh and gained a lot of knowledge and a confidence toward beginning his next round of classes in college. He then expressed his once silent desire to go out dancing in celebration. Want to Write a Book? It’s Time to Get Organized! On the surface organization and creativity don’t seem to go hand in hand. When you are feeling creative, you want to be free and not to be restricted by any rules. Organization is all about keeping tabs on what you are doing, having order, and routine. 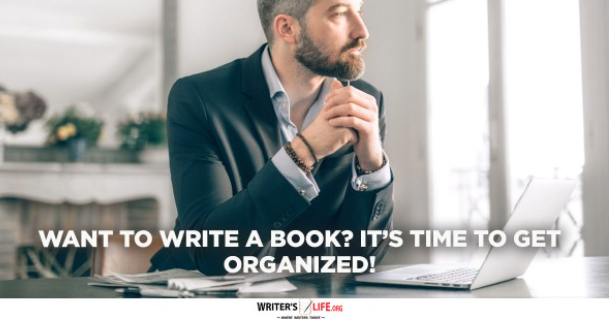 When it comes to writing, however, if you aren’t organized it could have an adverse effect on your writing and, in turn, your creativity. It actually pays to self-impose some order into your writing day to ensure you will be at your most productive. It’s good to plan for the future, to do research, and yes, even to have a great filing system! One of the biggest enemies of any writer is getting distracted. It’s all too easy to let other things get in the way of our writing and take over. To make sure this doesn’t happen it’s a good idea to try and keep your writing space as neat, tidy and organized as possible. If you know exactly where everything is as well as feel calm and comfortable in your writing space, you’ll find it so much easier to get on with your work. Your book will be so much better if you bother to do thorough research as you write. Organizing your research in a way that is most helpful to you is so important. It can be easy to start off researching with enthusiasm, but then when faced with actually using it find it muddling and confusing. By organising your research properly, you’ll know exactly which bits relate to which bits of your story and make it so much easier to call upon your research when necessary. Whether you like to work with paper files or have everything stored on your laptop, keeping your desktop free and having a good system in place so you can easily access everything you need will ensure you writing day runs smoothly and seamlessly! A writer without a writing schedule runs the risk of procrastinating or simply putting their writing off over and over again. By setting yourself a realistic but challenging writing schedule, you’ll be more likely to stick to writing regularly and will be so much more impressed with the progress that you make. These organization tips are simple to implement and will help anyone who wants to write a book feel as though they are prepared and ready, and help them to stay on track. Which tools do you use to stay organized? Let us know here! I need to follow some of these more! I haven't really been using files, but I guess that's just the way I am. Everyone is different, so I guess everyone doesn't really need to follow the tips exactly as they are given in this piece. But the article does offer some good ideas, I'll agree on that. Even without following these ideas as listed, I don't think there were any adverse affects on my writing. How about all you? How do you get organized when writing? I decided to do this one now. Aside from seasonal and monthly challenges, I'm pretty sure this will be all for me for now. f you think your life would make for interesting reading then turning it into a story or writing a memoir can be an exciting and rewarding challenge. 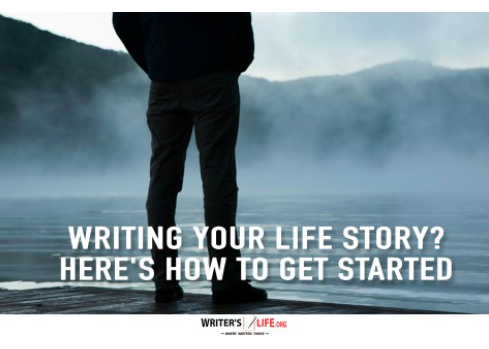 Writing your life story, however, may not be as easy as it seems. On the one hand, you’ve got all the material there, and you’ve got an inside perspective to everything that happened - making it easy for you to tell the tale from a unique point of view. However, you still have to work hard to get your audience on board, and once you get started you’ll soon realise it’s not as easy as simply transferring all your old diaries onto a Word Document! If you want your story to be read and appreciated by others, there are lots of things you need to think about. In the beginning, you just need to get everything down. Don’t worry about timelines, continuity, or even making it sound that good. Just literally jot down or map out all the significant parts of your life that you want to include in your book, and then begin to flesh them out. Now it’s time to get organised. Think about how you want to present your life story. Will events unfold chronologically? Or will you group parts of your life together according to particular themes? Decide which direction you want to go in and start organising your content to begin to shape your book. 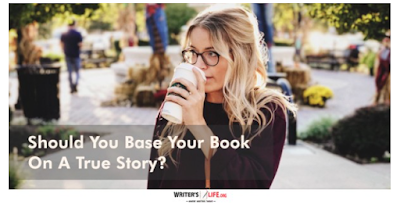 When it comes to writing your life story you should be honest with your reader, and yourself too. Tapping into raw and often brutal emotions and memories is often the way to get the best material, and though it might seem painful and scary, will make your book resonate with more people and your bravery will be admired. Just because it’s your stories and memories doesn’t mean you don’t have to do your research. You’ll no doubt write about other people in your memoir, so, where you can, make sure you talk to them, discuss the memories or versions of events you have and see if they match up. Remember that it is essential to consider your reader at all times. What may seem interesting and significant to you might not be so much to them - so always think about how to tell your story as if you were hearing it for the first time and didn’t know any of the people or the history behind it. How can you make your story have an impact on people? How can you make them care? Sometimes the need to embellish certain aspects of a real-life story becomes apparent, and that’s OK. If you want to get creative and change the outcome or the unfolding of specific events you, the author, has every right to do so if you think it will please your reader and make for a better tale. However, just remember that if you are positioning your story as a work of complete truth you do need to be careful here. If your readers find out you have twisted certain events or haven’t been completely honest, they could end up feeling cheated and let down. Writing your life story can be hugely cathartic, and rewarding and can be a great way to become a successful writer too. So if you think your life story is worth telling, follow the tips above and get started today! It feels a little weird to be posting this, since I've already begun doing what is talked about in this post. it might have been better if I had seen this beforehand. But it seems as if I had already known most of these steps, as I seem to have followed most of them. Though one of the things suggested under "Do your research" I have not done. When I began, I was apprehensive of using real names of people, which I eventually did not do. But I have not tried asking them if the events do in fact, match up. I have been suspicious that many of them won't remember any such events, or will try to deny that the said events ever happened (sort of where the poetic license part comes in.) Some people just don't remember that things far back! Who knows, though? I did look through old journals of mine for some events, so some research done there. I did some embellishing of details as well, but still held them as close to the truth as possible. I've been honest with most of it all. As far as organizing details goes, I chose to go by theme rather than chronologically. It just seems to come to me that way, so I stuck with it. One person I've known all my life pointed out this "jumping around" when she read my initial draft of the story, and tried suggesting following a timeline. But they way I saw it, that would take a lot of reworking. I know that reworking and rewriting is a part of writing, but I felt it was written the way I wanted it and would leave it as such, as far the order of details were presented. And one last thing, I'm not sure a memoir counts as a Life story," since most of them focus on a "slice of life," as the memoir class instructor pointed out in the class I took last summer. There were plenty of other things i could have told, but didn't, because I did not think they were necessary to what I was trying to present. Stuck for a Good Character Name? Try This! Great character names will stick in a readers head and will seem to fit perfectly with the character you are carrying around in yours! Naming your characters should be easy, you created them, and you know them inside out after all. However, many authors struggle to find that perfect name for the characters they’ve created, and the pressure of naming their characters can sometimes mean writing grinds to a halt before it has even begun! If you are struggling to find the ideal names for your characters, take a look at these tried and tested methods. A pun can work really well and is a fun way to hint to the reader what they can expect. A character with a surname Black or Moody, for example, might be dark and brooding. One with the surname Sunny or Flowers could be delicate, lighthearted and positive. First name and surname alliteration always deliver a catchy and powerful impact. Keeping names short and sweet has a similar effect. They also give your characters a slight superhero vibe. Peter Parker, Victor Von Doom - you get the picture! Another excellent way to give your readers a little insight into your characters is by giving them names with meanings. Check out some meanings of names and then give your character a prophetic one. Estelle or Stella, for example, could be the name of your star character or someone who loves to be the star or the show. Samael is a name, according to Jewish myth, for the grim reaper so this could be apt for a character who is evil or destructive in your story. Whatever you do, try to pick names that well reflect your character's personality. If your character is upper class, spoilt, seductive, and glamorous, calling her something like Jane Smith won’t sit right. Similarly, if your protagonist is a cheeky chap who was brought up on the wrong side of town calling him Huebert Sidney-Carter won’t work either!! Baby books or baby naming websites are a great resource if you are stumped for a great character name. Here you can find thousands of names and name meanings all in one place. If in doubt take inspiration from some of your favourite authors - pay attention to their carefully chosen character names and try to decipher what methods they have used, and why they work so well. The dictionary can be a fun and useful aid when it comes to choosing your character names, Simply open it at a random page and check out some of the words and their meanings - you are sure to come up with something unusual and fitting eventually! Remember you can always change them! At the end of the day, writing your story is more important than naming your characters, so if, for now, you are finding it a challenge to get your characters names right, don’t worry. Just call them anything you like for the moment, and you can always come back to it and change them once you’ve written your story down. So there you have it, next time you are finding it tough to pick the ideal name for your characters, try the above, and you are sure to find one that fits them perfectly in no time! When I began penning my memoir, I opted not to use real names of people I knew, even those of my own relatives, out of fear of possible lawsuits, or even just mere anger, from those people. At first, trying to make up names was hard, since there were so many people I mentioned. It was hard not to use the same name twice to avoid confusion with other characters, even though in reality I knew many Jennifers, Lisas, Karens and Michelles, among other trendy names, growing up. At one point in the story, I made reference to "one of the many Jennifers, Karens or Lisas...," knowing that the real person referenced had one of those names in reality. This was how I mentioned that person without actually using her name. In some cases, I could not remember someone's name, so I left those unnamed. This was especially true of those who were only briefly referenced, as I felt there was no need to use names in these instances. As for my diary novel, I'm unsure how I came up with the name of my protagonist or even some of the secondary characters. Though I've often though that Jana and Janelle sound like names for a set of twins, so I went wth those for two of my secondary characters. The old man across the street was given the all-too-generic name of Bob Smith. I just have a thing for the name Bob. And Megan Smith is his great-niece. Again, a very ordinary-sounding name. Quite often, I just take popular names for characters. Or any that come to mind. This may be how I chose some the names in both stories currently in progress. Should You Base Your Book on a True Story? When it comes to writing a book, many authors wonder how much of ‘themselves’ they should put into it. We’ve all been told that ‘writing what you know’ can be helpful, and that by drawing on our own experiences, history, emotions and way of viewing the world we will end up writing a much more authentic, believable and relatable piece of writing. However getting too bogged down in the ‘truth’ of our story can also lead to difficulties. For a start, much of what happens to us in our everyday lives is fairly mundane, and as we go about our day to day business, we are hardly inspired to write down everything that we see and do. If we only allow ourselves to write what we know, we could end up with a very dull book indeed. However, everyone has stories to tell, and often our greatest ideas flow from the meaningful events in our lives and how they have affected and changed us. There is sometimes a fine line between a novel and a memoir, and you should be clear about what kind of story you want to tell before you begin. If you are actually writing your life’s story, a memoir, you should stick to the truth. You can be creative about the way you allow the events to unfold but making up things that didn’t happen is not a good idea. A fictionalised story, however, is a different matter altogether, and this is where things can get interesting! You have the freedom to rewrite history. The wonderful thing about basing your book on a true story is that it doesn’t have to have the same outcome. You can keep it as close to the truth as you like, or you can change the details to tell it in another way - it’s completely up to you. As with any piece of writing you do, creativity is your friend. You don’t have to make all parts of your story realistic, let your imagination run wild and mix up real-life elements with fantastical ones to make your story really exciting! Writing down your most life-changing and powerful moments can be cathartic and enlightening. Re-living past events, particularly those that had a profound effect on you can help you work through things that perhaps you had kept buried for a long time. Doing so and being in control of how you tell these stories can be very therapeutic indeed. 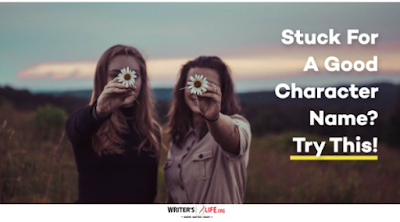 By including true stories in your novel, you are connecting with your reader on a deeper and more personal level. Telling a story that holds an element of truth makes it even more exciting and special. If your story is in some way truthful, it can be a way of inviting your readers in and offering a deeper more meaningful piece of writing that could truly touch and change them too. Remember - the truth is subjective anyway! Writing your book based on a true story can be an exciting and freeing experience for any writer. So next time you are thinking about ideas for your next book, delve into your memories and see if there isn’t a great story in there just waiting for the opportunity to be told! But once I began writing down ideas for my story, it got to sounding like a memoir, like many of this I had read up until that point. I have either exaggerated some details in my memoir or jumbled some up, but they are true for the most part. And some time ago, some girls I went to high school with who had gone to the Catholic school in my town, recalled on Facebook (commenting on their eighth-grade class photo that had been posted) how some of once them fantasized about marrying the members of Duran Duran. I included this, even though it did not happen at my junior-high school. It was a perfect '80s reference, and I can bet it happened somewhere else in the country. This was a more recent addition to my manuscript. In some ways, the truth can be exaggerated, even in a memoir. Another I could not resist. Most of the monthly categories are right in my league. All writers go through periods where they feel a little demotivated, a little uninspired to write. It happens to all of us at some point, and for some of us, it’s a recurring thing! However, when we are feeling down about our writing, it is important to try and get back on track as quickly as possible. The sooner you get back to your creative, passionate and energetic self the better. 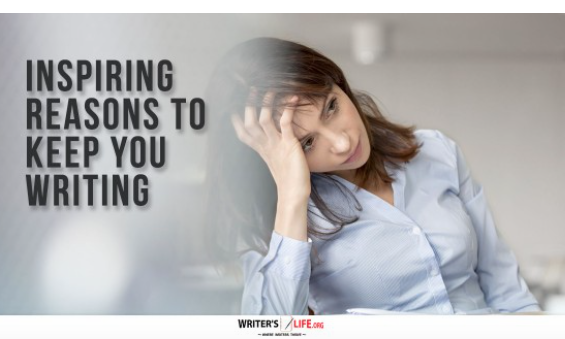 After all, it’s your writing that will suffer if you don’t. Sometimes all we need is a little reminder of why to write in the first place! So if you are in need of a writer's pick me up, take a look at these inspiring reasons to keep on writing! Once you get into the writing zone, your brain shuts off from everyday life and the stresses, strains and pressures of it. The more you write, the more you can get rid of anxieties and worries and really let go. Writing enables you to lose yourself in another world. It also helps you find ways of expressing things and exploring your emotions which can be superb for your sense of wellbeing and peace. Rejection is a badge of honour. Don’t worry about rejection, in fact, look forward to it. Getting rejected proves you are a real writer, so wear that badge with pride! There are so many publications out there just waiting for you to get in touch. Just because some publishers have turned you down, you shouldn’t give up. There are hundreds of thousands of different publications out there; you will find the right one for you! You don’t need to be a flawlessly perfect writer all the time. Writing isn’t about being perfect. You are allowed to make mistakes. You are allowed to write something that is a bit rubbish! The more you write, the better you’ll get. If you stop writing you’ll never improve. There is always time to write. You can always find 10 minutes to write, no matter how busy you are. Find them and get going! Your never too old or young to write. You can start writing at any age, don’t let anyone hold you back or tell you otherwise! Your writing could change the world. You never know who is going to read what you’ve written. No matter the topic if you write something that resonates with people you could end up having a massive influence on them, and your writing could eventually change the world! Your writing could change your life. You never know what’s around the corner when you write, and you’ll never know until you try. Whatever happens, if you are following your dreams you are on the right path. If writing is your passion, then write - you can’t regret something or think it’s a waste of time if deep down you know it’s what you were made to do! So there you have it if you ever need a reason to keep writing, or some motivation to help boost you when you aren’t feeling great about how your writing is going, take a look at these inspiring reasons, and you are soon to get back on it once more! I'm still trying to get back to my writing even if it means doing something new or just journaling! I've been starting to worry that I haven't been doing enough recently, after seeing the line above that says you'll never improve if you stop writing. But I think I'm doing OK.
Blydyn Square Books is excited to announce our first-ever publishing contest. The deadline to enter is September 30, 2018. Our panel of judges will review the submissions and announce the winner by December 31, 2018. The winner will receive a standard Blydyn Square Books publishing contract for our upcoming 2021 publication list. I've already shown this to my boss and some of my fellow mentors and clients, and all have said I should enter this. I'm not sure whether to email it or send a hard copy, but I have some time to decide. If I entire the contest, I'm definitely sending my memoir, since it's over 88K words as of now, a count I never thought I'd reach. My diary story is currently over 6,000 words and I feel doubtful I'll get to 50K before the end of September. And even if I start something else now, I again doubt I'll reach the required word count before the submission deadline. It took me some time before I got my memoir word count to the current number of words, since I thought I'd never reach since it seems most already published memoirs seem to be in that word range. I now think I should go over the memoir again before I send it off, to decide what I want to change now. I now want to give this one a try, going for the first level. Click here to sign up. I am hosting the first ever Royalty Reading Challenge in 2018. This reading challenge will complement the Quarterly Royalty Readathon. 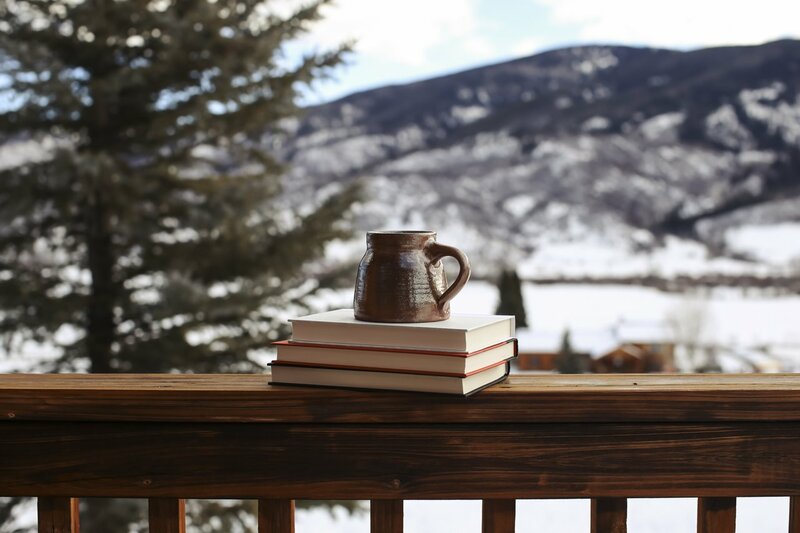 The aim here is to read books with royalty. It can be the main character or even a little inconsequential side plot, it all counts.